Note: In order to register for a BSF program, you must have a current BSF annual membership. Membership fees will be charged to your account during the registration process. Fall: Mondays & Fridays, 4:00 - 5:30 p.m. at Bogart Park starting in October. Skiers move up to the Introductory Development (aka Intro Devo) program as they develop their skills. We focus on basic turning techniques and familiarizing the athlete with catching air and landing. The Development Team skis the whole mountain and the terrain park, with an emphasis on fun. As the athletes bounce back and forth between all of our focus groups (freeskiing, moguls and all-mountain), they become well rounded in all-mountain skiing and learn what our upper level programs have to offer. Once they have perfected carving skills and air awareness and want to take it to a competitive level, we will move the athlete to the specific focus group of his or her choice. *In the freestyle/freeskiing program, we group athletes more by skill than by age. If you're in a unique position or unsure what to register for, please contact the program director and we'll figure out the best option. Athletes are eligible to do events at Bridger Bowl. Optional. Members of the Introductory Development program are eligible to apply for need- and merit- based scholarships. (Intro programs are not open to scholarships at this time.) Learn more HERE. BOOTS: Proper boot fit with soft, even, forward flex for ankle movement to facilitate a balanced, athletic stance. Rescue Beacon: Given the terrain and requirements for certain areas at Bridger Bowl, rescue beacon and confidence in its use is recommended for most Intro Devo participants. Since skiing is not an inexpensive sport to participate in, we make every effort to help parents and athletes secure gear in a variety of ways. BSF coaches will be available at all swaps to help answer questions. Team night at Round House & Chalet is always the second week in November, with a discount for athletes and parents. Local retailers or online. (Your BSF membership gets you discounts at several local shops.) Also, keep your eyes out for the team BSF emails—retailers will sponsor team nights with discounts. The Ski Swap, held each November at the Fairgrounds. Thousands of items. (It’s also one of BSF’s biggest fundraisers.) BSF members get in an hour early. If you volunteer at the event, you get in even earlier! When you register for the program, you will be added to an email list. Your coaches will communicate weekly details to you through email, as well as any last-minute changes. (It’s important that you do not unsubscribe to BSF emails, as this is our main mode of communication in the winter.) If for some reason you are not receiving emails from us, let us know! Please make yourself familiar with our policies, the BSF Athlete & Parent Handbook, and other important information on the Resources Page. Competitions: Parent/volunteer assistance with competitions is needed and is a fun place for parents to learn about freestyle/freeskiing. No experience necessary; we typically provide lift tickets for volunteers who don't have a season pass. Look for info in emails. Other chances: BSF is a traditional nonprofit, relying on donations and fundraisers to cover approximately 50% of our operating costs. Volunteers donate thousands of hours each year. We couldn’t do it without you! We’re always looking for volunteers to help with our fundraisers, serve on committees, or help at Nordic, Alpine, and Freestyle/Freeskiing competitions. Baseline testing recommended but not required. In the event an athlete does have a head injury, having baseline testing results on file allows BSF and your doctor to evaluate the injury and also accurately determine when an athlete can return to activity. Click here for info. There’s a bigger picture to what BSF teaches skiers, when and why. BSF’s programs are consistent with U.S. Ski & Snowboard's Long-Term Athlete Development (LTAD) Systems. What does that mean? We’re not focused on short-term success—and the hazards (and burnout) that often come with it. 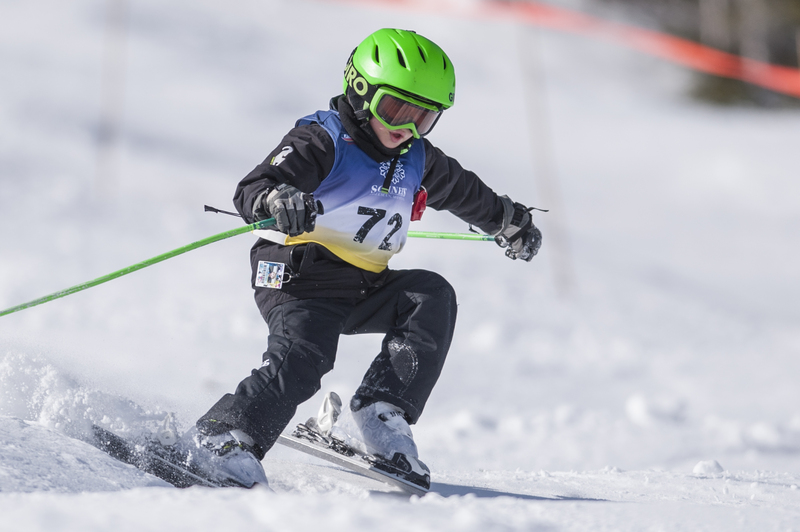 Instead, we follow LTAD plans that are individualized and based on science to make sure your child can maximize their long-term potential as a skier (should they wish to do so) and their enjoyment in the sport. We take into account a child’s development physiologically, cognitively and socially, as well as their experience skiing. 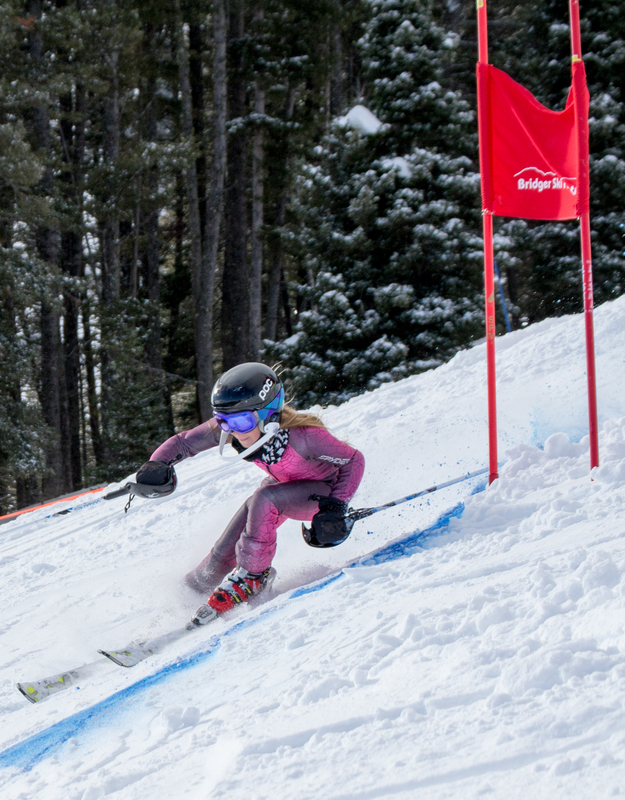 This makes it easy for your child to progress through our programs—from Youth Ski League, the Development Teams, to the competitive teams, and even on to skiing as an adult Masters athlete. 95% freeskiing. Participate in many physical activities. Introduction to formal gymnastics, trampoline and tumbling is beneficial. Begin to develop fundamental movement skills through play, fun, novel activities. Phase 1 is about learning and fun environments. Athlete should have fun with skiing and gain confidence on skis. Mileage around the mountain is maximized with an emphasis on fun freeskiing with friends. 80-90% all-mountain skiing. Play many sports, with active participation in coordination or balance-based sports. Play many sports. Active participation in coordination or balance-based sports. Participation in team sports build teamwork, ethics and fair play. This is the adventure stage: ride all terrain and explore the mountain. Free play, guided free skiing and drills are an integral part of development. Tactics are learned through self-discovery by riding around the mountain and adapting to different terrain. Skis challenging terrain or difficult snow conditions. 60% all-mountain skiing. Continue to participate in many activities and sports. Begin to identify with primary vs. complementary sports. Start to incorporate focused dryland training 1-2 days per week. Enhance body awareness, balance, and spatial anticipation through games and drills. Gain comfort in applying various tactics in order to ski terrain using different strategies to achieve differing results.